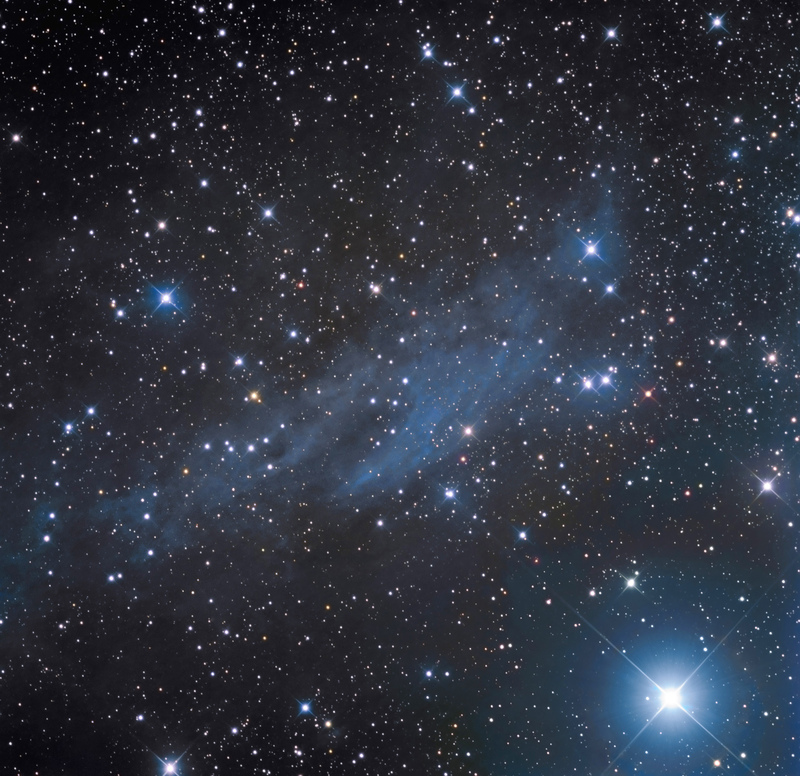 van den Berg vdB 14 is an elliptically-shaped, blue reflection nebula in Camelopardalis near vdB 15 and Shrapless 2-202 emission nebula. It is illuminated by the very bright mag 4.2 supergiant (B9Ia) star shown in the image (HD21291). 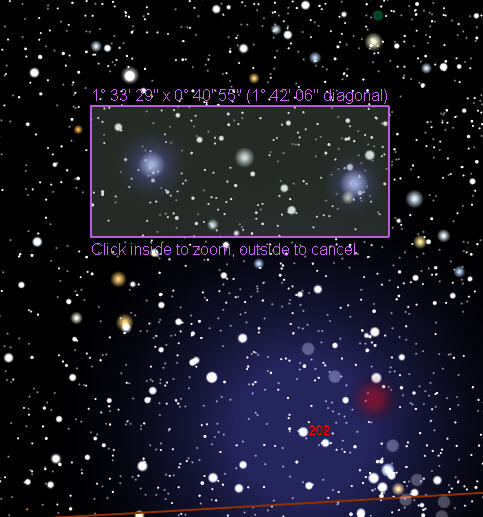 Both vdB 14 and 15 are embedded in the Cam OB1 group of type O-B3 stars and supergiants.